Random House Webster’s Dictionary defines “defensiveness” as “sensitive to the act of criticism.” In his book entitledWhat Predicts Divorce?” John Gottman describes four types of communication that he labels the Four Horsemen of the Apocolypse. According to him, these styles of communication are not helpful and can be predictive of divorce. One of the four horsemen is defensiveness. When a partner is defensive, he or she may also saying, “I am more interested in protecting myself than caring about what you are thinking or feeling in the context of this problematic situation.” Things can proceed downhill from there between the sparring partners. 1. Avoid blaming or criticizing your partner. The more your partner hears judgment and criticalness, the more he or she will place their energy into a counterattack or self-defense. 2. Try to assume a more neutral posture. Ask questions to gather information rather than to accuse. Your goal is to understand more accurately and objectively what the other person really means or believes to be the case. Remember that to make assumptions is to pose as if you have an ability to mind read (no one does!). 3. Verify what you think you heard in a tentative way that reflects your genuine effort to “get it right.” If you notice your partner’s body language, for example, conflicts with their words, notice it and ask about it. Do not let your own voice tone or body language conflict with your verbal request to understand where your partner is coming from. 5. Listen to the “meta-content” or the message underneath the defensive or hostile statements. For example, if your partner says, “Back off! I am doing all that I can,” he may be feeling unappreciated or needing acknowledgement for his sincere efforts. When we work toward an understanding of a person’s underlying emotions and needs, it is much easier to demonstrate respect for what the other person is up against or what our own part has been in the context of problems in the relationship. Dr. Cunningham practices marriage counseling and relationship counseling in the heart of Mission Valley. She offers complimentary telephone consultations at 619 9906203. It takes courage to embark upon a journey of individual counseling or couples counseling. Make a move to begin such a journey today! 1. See if you can identify a repetitive cycle that is not useful in your relationship. For example, you may be a pursuer while your partner distances. Of you may overfunction while your partner underfunctions. 2. Try to see if you can identify your part in how this stuck dynamic continues and change it up! 3. Keep your eye on what IS working in the relationship and notice it, both internally and in vocalizing it to your partner. 4. Go on regular and, at least, weekly date nights. Take turns planning and executing the date night–making “surprise” a key element for your partner. 5. In the words of Ghandi, be the change you wish to see. 6. 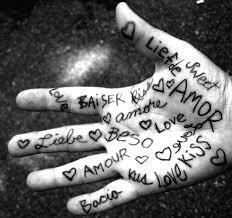 Choose your words carefully, taking special care to avoid blame, criticalness, contemptuousness, or stonewalling (Thanks, John Gottman). 7. Practice self care. The more you model that you love yourself, the more loveable you become! 8. Be a self. Know where you stop and he/she begins. Be willing to risk disapproval in the service of keeping connected and engaged. Just choose your words in a way that will minimize a defensive reaction in your partner. Make your statements from an “I” perspective instead of “You should/shouldn’t” perspective. 9. Play with your partner! 10. Work WITH your partner. Be more interested in being connected rather than in being right! I am excited to report that the academic textbook for which I wrote a chapter is finally released. Edited by my former dissertation chair and her husband, I am proud to have written chapter 13 entitled: A Family Systems Treatment for the Impaired Physician. 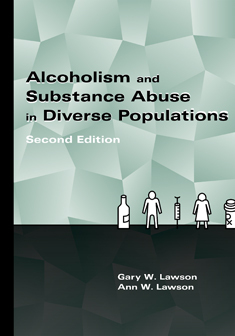 The book, edited by Gary W. Lawson and Ann W. Lawson, is entitled Alcoholism and Substance Abuse in Diverse Populations, second edition. To learn more about me and my model of practice, visit me at http://www.Cunninghamtherapy.com or call for a complimentary phone consultation at 619 9906203.